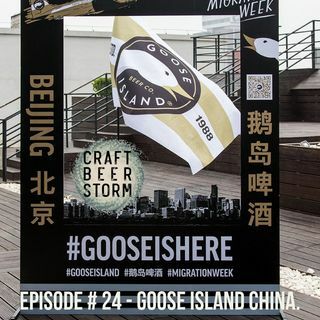 Michael speaks with Matt Jimenez, Head Brewer at Goose Island China in Shanghai about his journey, the local Craft Beer scene and styles popular in Chinese culture. The Goose Island Brewhouse Shanghai – the first in China - aims to improve the quality of beer experiences. Adhering to its brand philosophy – ‘born for exploring and discovering, and stay with innovation,’ - the brewmasters and chefs in The Goose Island Brewhouse Shanghai will closely collaborate on offering “beer-centered” ... See More beer & food pairings. Apart from cooking with the signature Goose Island craft beers, the dishes are meticulously created to not just accompany the beers available, but also to be a standout on its own.